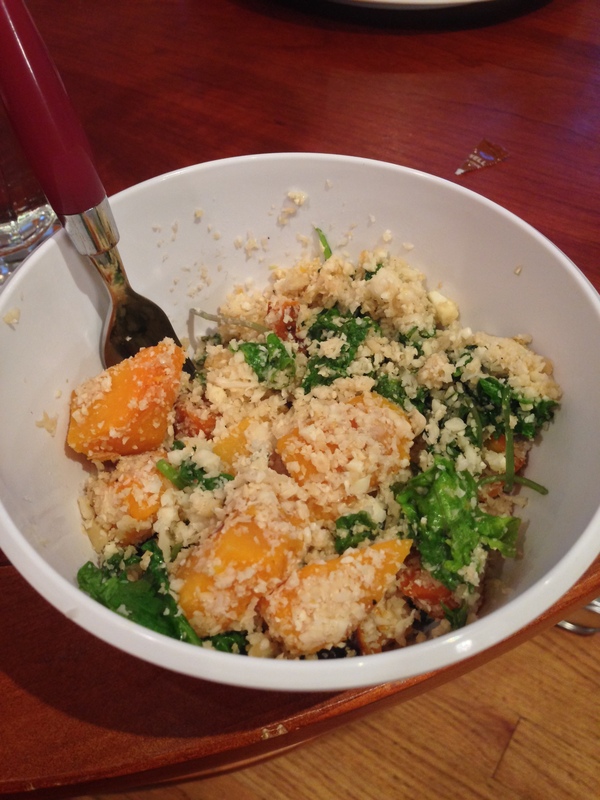 Cauliflower rice is a pretty new trend in the foodie world, and trust me its worth the hype. 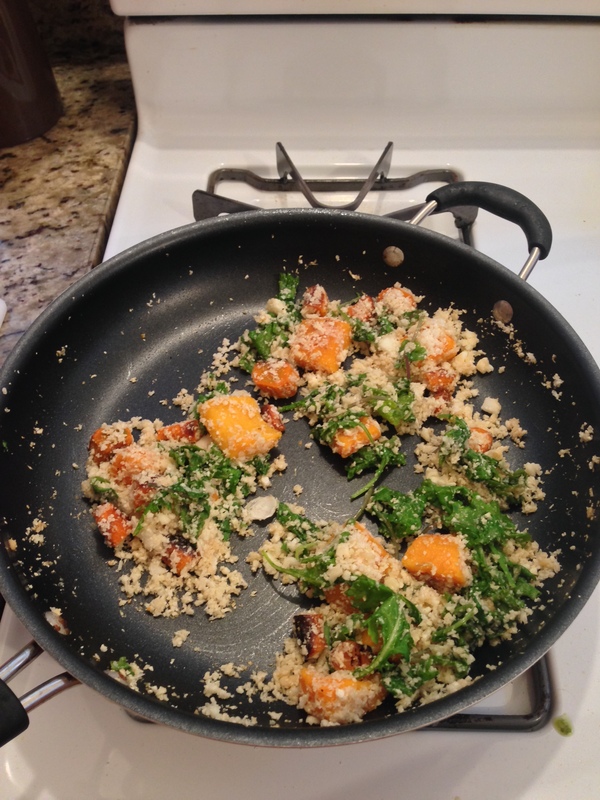 Tonight for a quick dinner after class I made cauliflower rice with some roasted butternut squash and carrots, and baby kale. It took under 15 minutes to make because I already had the roasted carrots and butternut squash done and in the fridge (batch cooking #ftw). I bought pre cut butternut squash at Trader Joes, and the carrots from a local market in Berkeley. I roasted both in the oven with EVOO, himalayan pink sea salt, and pepper until I could stick a fork in them. I took 1/3 of a head of cauliflower, broke it into smaller bits, and put it in a food processor until it resembled rice. easy as that. -put coconut oil in a pan on medium-low and throw some minced garlic in. let that cook for a minute and then throw in the roasted squash and roasted (chopped) carrots. Let the veggies reheat for 3-5 minutes and then throw in the cauliflower rice. Mix the veggies and rice together in a pan and top with some coconut aminos (or your soy sauce of choice). Let this cook for another few minutes. The last step is to throw a big handful of greens onto one side of the pan (while veggies and rice are on the other side) with a little bit more oil and sauté them until bright green and wilted. Add a little bit of salt and pepper to the pan and mix everything together.